Brinn Bevan was crowned the new senior British All-Around Champion at the 2018 Gymnastics British Championship on Saturday. The Matchroom Sport athlete, based at South Essex Gymnastics Club in Basildon, has endured a tough 12 months with injuries but proved he was back to his best with a scintillation performance in Liverpool, where he also collected bronze in the Seniors Pommel Horse, High Bars and Parallel Bars and Masters medals on Pommel Horse (silver) and High Bar (bronze). However, there is no rest for the 2016 Olympian who is straight back to action in Germany at the FIG World Cup in Stuttgart on Saturday. “It is a great feeling to be British champion,” said Bevan. “The last year has been really difficult coming back from injury, so for it all to come together on Saturday and prove the point that I am back was great. It wasn’t just winning the competition, it was everything else that came with it – I am back to where I used to be, if not even further ahead and better than where I was. “The highlight of my competition was the floor routine, which was my last apparatus. Going into it I had worked out the scores and knew what I needed and that built up an enormous amount of pressure because I knew I couldn’t afford any falls or any mistakes, so to nail the routine all of the emotion just erupted. “It has given me a bit of confidence and proved I can nail my routines and get good scores and hopefully this weekend in Germany I will show where I stand against the World stage again. 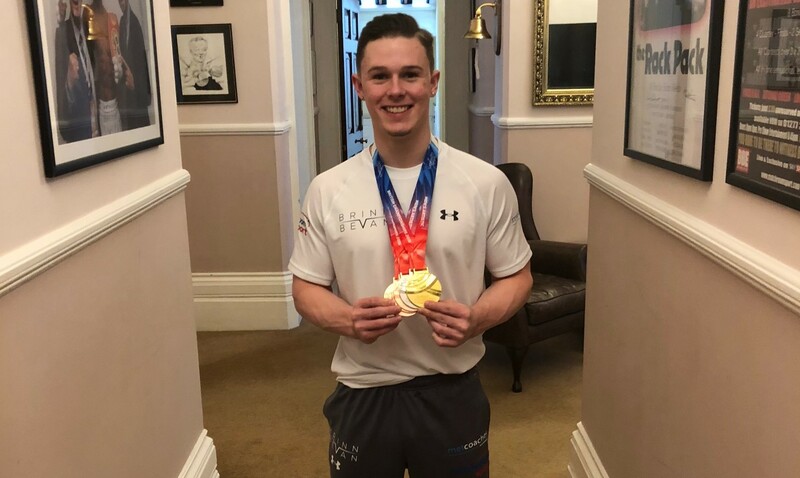 Matchroom Sport Managing Director Eddie Hearn added: “We are all very proud of Brinn, not just for winning the event but for the determination he has shown since returning from injury. Follow Brinn’s career on his new website at www.brinnbevan.com and on social media @brinnbevan.